It’s the desire of every business to be an enormous success, but in today’s tough economic climate, many organisations forget that in order to be a success, they need a lot more than just an admirable product or service. Fortunately, many organisations are slowly waking up to the importance of a hardworking and dedicated workforce. But this doesn’t just happen overnight – business owners need to invest in their employees, and that’s where team building activities save the day. If you are undecided whether team building activities should be a part of your annual marketing budget, here are a few benefits that will definitely sway your mind. Breaks down barriers in the workplace. Provides the opportunity to learn about each other and grow respect for each. Reinforces and evolves culture in the workplace. Contributes to trust amongst team members. Identifies barriers to positive morale and highlights strategies to better morale. Highlights the value of having fun in the workplace. Boosts productivity and better sales. Every organisation wants their employees to be as productive as possible, but if you want to achieve motivated, optimistic, happy and productive employees, then you need to understand, appreciate, develop and maximise the people in your team. 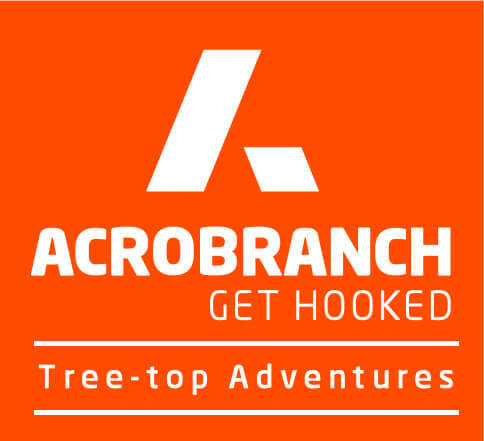 And there is no better way to do this than spending a day at Acrobranch. An incredibly popular team building experience, Acrobranch ziplining canopy tours is currently the fastest growing team building activity to hit the South African corporate scene. Nationally celebrated for offering employees a chance to escape the workplace, learn a little more about each other, and have loads of fun and good laughs, the team building activities at Acrobranch are unlike any other. Allowing employees to experience a sense of accomplishment in working as a team as they glide across the treetops at high speeds, our zip line team building activities include cargo nets, Tarzan swings, balancing beams, tightropes, lily pads, barrels, rope bridges, and many other obstacles to get your employees learning about themselves and each other, while having the best day of their lives. Whether you want to encourage and motivate, teach leadership qualities or better morale, the team building activities at Acrobranch is an empowering experience for everyone. Situated in seven adventure parks throughout South Africa, contact us today to learn more about our team building packages and to make your booking for 2018.